According to the Sprint website, this telecommunications giant has made a deal with the Federal Emergency Management Agency (FEMA) that will supply the disaster relief organization with 2,000 GPS tracking units for day-to-day field work and emergency use. The acquisition of the cell phone GPS tracking devices comes at an opportune time for FEMA who is required to have a vehicle tracking system in place by the hurricane season, a season which has all but passed. The addition of these devices should make FEMA much more agile and useful in the field, increasing their ability to serve the public by responding quickly and efficient to natural disasters. Released for Sprint, the Motorola i365 is a rugged and durable handset certified for military specification requirements including humidity, blowing rain, dust, shock and vibration. It features Nextel’s push-to-talk communication for quick conversations with up to 20 members of families, friends, and coworkers. Featuring an embedded Global Positioning System (GPS) chip, the i365 uses E911 emergency location services to get audible and visual turn-by-turn driving directions, mapping locations, or conducting local searches. This cell phone is a great fit for the conditions and circumstances in which FEMA does most of its work. 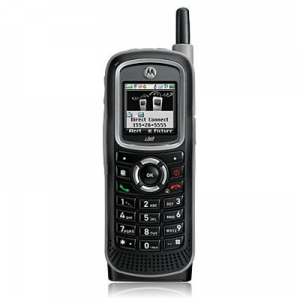 Many more “refined” mobile devices just would not cut it in the harsh conditions where the Nextel i365 flourishes. In addition to these 2,000 GPS tracking cell phones FEMA is also receiving access to two of Sprint’s products that are going to help them use these cell phone to their fullest potential – Nextel Direct Connect and TeleNav Track. Let’s now turn our attention to these two services and see just how FEMA stands to benefit from the real time tracking and communication capabilities that they offer. TeleNav Track is a very useful and complete cell phone software package that can assist business and organizations in a wide range of activities related to highly mobile work forces, integrating workforce management, GPS tracking, and navigation features into one package. The main goals of the software are to boost productivity, control costs, and the manage risk. Boosting productivity is obviously the goal of any profit based business, but it is also an incredibly important characteristic of effective disaster relief agencies like FEMA. GPS integrated software like TeleNav Track helps businesses boost productivity by doing three things very well. The first is that it gets employees to locations quickly and effectively. We are all very familiar with GPS navigation devices and how useful they can be in helping us navigate new and unfamiliar territory. The second is that is relays the employees position back to a central dispatching center which can keep track of all the moving parts in the complex world of mobile businesses. The idea of a central hub where information is gathered and then decisions are made is even more important in a disaster situation. Not only does the data need to be sent from the GPS enabled cell phone, but information must also be sent to the cell phone so that field agents can be kept abreast of the situation and their tasks. The ability to see all these moving pieces and to make good decisions with that data is the second benefit of a service like TeleNav Track. The third and final think that this does is that it helps business reduce the amount of waste engaged in by employees. If employees know that you can know their exact location in real time then they are less likely to goof off when on the clock. It is a very powerful tool as an employee to go up to an employee and ask them why they spent 2 hours parked at a shopping mall when they should have been out on the street working when they know that you know that that was exactly what they were doing. In addition to being able to boost productivity, GPS tracking management systems like TeleNav Track also help you reduce costs associated with doing business. Just think about this one a second and you will see several ways in which you can see an immediate benefit to your companies bottom line or help ensure tax payer dollars are being well spent (in the case of FEMA). As was mentioned above, GPS tracking devices can help keep employees more accountable for their day to day activity. This increases productivity because it gets people working more, but it also helps reduce costs because you will no longer be paying people to do nothing. Another key element that TeleNav Track offers is the ability to do a lot of paperwork electronically. The savings that this type of switch can generate is certainly nothing to sniff at. Electronic time cards have helped companies reduce pay roll administration costs by as much as 80% – which is money that could be poured back into the business. While this really doesn’t have much to do with the GPS side of these devices, it is the same information delivery system that sends the GPS coordinates from your cell phone that also sends out electronic documents as well. And finally, many GPS cell phone tracking systems help companies manage risk by putting their eyes on their assets at all times. They can know how many of their employees are out on the field, where their vehicles are, and make decisions about the best way to use these assets to better the business or to better serve the people. What is Nextel Direct Connect? Accomplish more quickly. Being able to connect quickly with co-workers to in just a few seconds to share information is powerful when decisions need to made quickly and information is in a particularly fluid state. Keep conversations quick and simple. In and out conversations get more accomplished and force employees to boil down their content into potent sentences laced with meaning and information. Every word is heard and business can move at the speed of thought. Talk to many at once. Being able to send instructions out to 20 people at a time is something that few normal mobile phones can accomplish – yet this is exactly what the i365 cell phone is able to do with Nextel Direct Connect. When this technology is combined with the TeleNav Track system you get a powerful one-two punch for the folks at FEMA. Will FEMA GPS Cell Phone Tracking Work? I certainly hope so. The technology is certainly useful and I can see no good reason why they can’t make full use of these powerful cell phone GPS tracking devices to better serve the American people in times of dire need. The combination of push to talk technology with the powerful GPS management software should provide phenomenal results for FEMA. We’ll just see if this turns out to be a good use of government GPS tracking or if it ends up being misused and under utilized. Only time will tell. If that does not work, most cell phone providers let you set up a family tracking plan much like Verizon Wireless that lets you tracks the cell phones on your plan. That might be an option for you if you just have a simple phone for your child. Next Next post: Facebook Cell Phone Tracking Ad: Is This For Real?